We start our new club in Holsworthy in just over a week. The Holsworthy Leisure Centre is a great venue for practising aikido so I hope that lots of people in the area may be tempted to give us a try. It’s difficult to summarise aikido for someone who’s never done aikido before. 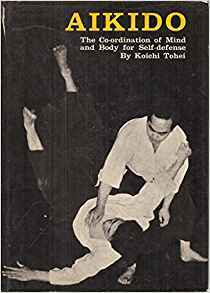 These days I like to use the expression: “The Coordination of mind and body for self defence.” That was the subtitle of Koichi Tohei’s marvellous book on Aikido, written under the supervision of the founder of aikido, Morihei Uyeshiba, in the late ‘50s/early ‘60s when Tohei was the chief instructor of aikido. To me, this is the central text of aikido. It defines what aikido is all about. Sadly, the book has been out of print for many years so I cherish my own copy which I bought about 30 years ago. Aikido is a beautiful, elegant, graceful, powerful and effective martial art. The fact that it relies upon using the power of an attack itself means that you do not need to be big and strong to practise aikido well. If you have never done aikido before, please come and join us to learn this wonderful art. Or if you already practise aikido, come and join us anyway. You will be very welcome no matter which aikido style or organisation you come from. There are no boundaries to our aikido. If you want to practise with us, we will be very pleased to practise with you! From the 6th of June, we will be practising at the Holsworthy Leisure Centre each Tuesday evening from 7:30 to 9:00. Every Monday (except the first Monday of the month) and Thursday we have a class at the Bucks Cross Village Hall, between Bideford and Hartland. And our friends at the Bideford Aiki-jo club teach Aikido weapons every Wednesday in the Methodist Church Lower Room on Bideford High Street from 7:00 to 9:00. Please note that all classes are adults only (18+). Make this the year you learn Aikido! Come and join us!